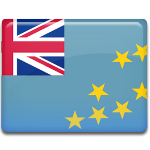 Citizens of the Cook Islands annually celebrate Constitution Day on August 4. 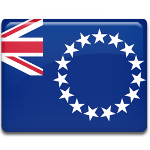 The holiday celebrates the day, when the Islands declared a self-governing nation in a free association with New Zealand. 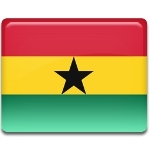 Founders Day is a public holiday in Ghana celebrated on August 4. It is dedicated to the people who fought for the country’s independence from the United Kingdom. Originally celebrated on September 21 (birth anniversary of Ghana’s first prime minister and president Kwame Nkrumah), it was moved to August 4 in 2017. 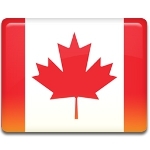 The first Monday in August is Civic Holiday in most Canadian provinces. 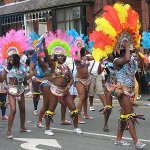 This holiday is known under different names in many provinces and municipalities. 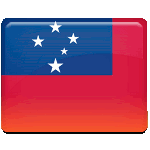 Labor Day is one of the public holidays in Samoa. It's annually observed on the first Monday in August. 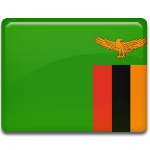 People across Zambia celebrate Farmers' Day on the first Monday in August. Zambians depend on farming very much, that is why this holiday praises their work. 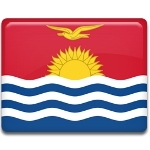 Youth Day is a public holiday in Kiribati. Celebration of this holiday is aimed to promote healthy lifestyle among youth and children of Kiribati. 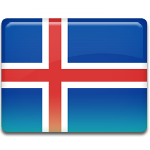 Iceland annually celebrates Commerce Day on the first Monday in August. This holiday appeared in 1894, and the first observation took place in Reykjavik. 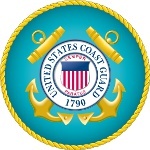 Coast Guard Day is celebrated in the United States on August 4. This observance commemorates the anniversary of the founding of the U.S. Coast Guard as the Revenue-Marine in 1790. Armed Forces Day in Venezuela coincides with the country’s Independence Day celebrated on July 5. 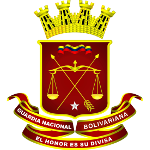 Besides, each service branch of the National Bolivarian Armed Forces of Venezuela has its own holiday. For example, National Guard Day is celebrated on August 4. 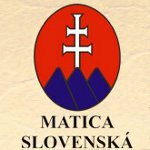 Matica Slovenská Day is a remembrance day in Slovakia, that is observed every year on August 4. This day commemorates the day, when the main scientific and cultural institution of Slovakia was established in 1863. 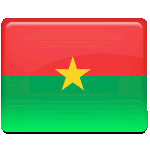 August 4 is Revolution Day in Burkina Faso. This holiday commemorates the anniversary of revolution on August 4, 1983, that led to many changes in the country. 2007 NASA launched Phoenix, a robotic spaceship, on a space exploration mission on Mars. The spaceship successfully landed on Mars on May 25, 2008. 2006 Sri Lanka government forces carried out a massacre, killing 17 employees of the French international non-governmental organization Action Against Hunger. 2003 Died: Frederick Chapman Robbins, American pediatrician and virologist, Nobel Prize laureate for breakthrough work in isolation and growth of the polio virus, paving the way to development of vaccines. 1995 The Croatian Army and the Army of Republic of Bosnia and Herzegovina started operation Storm in Croatia. The operation was the last major battle of the Croatian War of Independence. 1991 The Greek cruise ship MTS Oceanos sank off the Wild Coast of South Africa. Captain and the crew evacuated from the ship before the emergency signal was made, leaving all passengers on board in ignorance. Later all 571 passengers were saved. 1977 Died: Edgar Adrian, 1st Baron Adrian, English physiologist and academic, Nobel Prize laureate for his work on the function of neurons. 1974 A bomb exploded in the Italicus Express train at t San Benedetto Val di Sambro, Italy. 12 people were killed, 22 more wounded. 1969 Vietnam War: American representative Henry Kissinger and North Vietnamese representative Xuan Thuy began secret negotiations on peace. The negotiations would eventually fail. 1968 Born: Daniel Dae Kim, South Korean-born American actor, best known for role as Jin-Soo Kwon in Lost. He also played in Hulk, Spider-Man 2 and Crash and performed in video games. 1964 Gulf of Tonkin incident: U.S. destroyers USS Maddox and USS Turner Joy reported coming under attack by North Vietnam. However, due to thick for the crew couldn't identify the surrounding ships as the North Vietnamese vessels. 1961 Born: Barack Obama, American lawyer and politician, the 44th President of the United States. He became President of the USA in 2009 and in the same year he received Nobel Peace Prize for his extraordinary efforts to strengthen international diplomacy and cooperation between peoples. 1946 An earthquake of magnitude 8.0 hit northern Dominican Republic. 100 were killed and 20,000 were left homeless. 1938 Died: Pearl White, American stage and film actress. She began her career on stage at the age of six and later moved to silent films industry, appearing in number of popular serials. She earned a nickname the Queen of the serials and was noted for doing majority of her own stunts. 1914 Germany invaded Belgium, in response, Belgium and the United Kingdom declared war on Germany, thus officially entering World War I. The USA declared its neutrality. 1905 Died: Walther Flemming, German biologist, known as the founder of cytogenetics, a branch of genetics that is concerned in the study of the structure and function of the cell. 1901 Born: Louis Armstrong, American trumpet player and singer. He played a foundational influence in jazz, shifting the focus of the music from collective improvisation to solo performance. His influence extended far more than jazz music, and he was widely regarded as a profound influence on popular music in general. 1900 Born: Elizabeth Angela Marguerite Bowes-Lyon, became known after coronation Queen Elizabeth The Queen Mother, the last Empress of India. She died in 2002, becoming the second member of British royal house, who lived longer than 100 years. 1875 Died: Hans Christian Andersen, Dutch author. He is best remembered his fairy tales, that were translated into more than 125 languages. His best known fairy tales are The Little Mermaid, The Ugly Duckling, The Snow Queen, The Nightingale, The Emperor's New Clothes. 1859 Born: Knut Hamsun, Norwegian author, poet, and playwright, Nobel Prize laureate in 1920. His work spanned more than 70 years and showed variation with regard to the subject, perspective and environment. He published a collection of poetry, more than 20 novels, short stories and plays and some essays. 1853 Born: John Henry Twachtman, American painter, best known for his impressionist landscapes, whose style is considered to be among the most personal and experimental of his generation. He is famous for paintings Landscape, Branchville, Wild Cherry Tree, Fishing Boats at Gloucester, The White Bridge. 1849 Died: Anita Garibaldi, Brazilian wife of Italian revolutionary Giuseppe Garibaldi, whose partnership epitomized the spirit of the 19th century's age of romanticism and revolutionary liberalism. 1834 Born: John Venn, English mathematician and philosopher, noted for introduction the Venn diagram, used in the fields of set theory, probability, logic, statistics, and computer science. 1822 Died: Kristjan Jaak Peterson, Estonian poet, commonly regarded as the founder of modern Estonian poetry. He died of tuberculosis at the age of 21, leaving only two small books of his works. 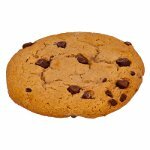 1821 Born: Louis Vuitton, French fashion designer, founder of Louis Vuitton brand of leather goods. 1789 Feudalisms was abolished in France: members of the National Constituent Assembly took an oath to abandon their privileges. 1755 Born: Nicolas-Jacques Conté, French soldier and painter, known as the inventor of modern pencil. 1526 Died: Juan Sebastián Elcano, Spanish explorer, known as the first person to complete circumnavigation of the Earth. 1525 Died: Andrea della Robbia, Italian sculptor, regarded as one of the most important artist of ceramic glaze of the times. 1521 Born: Pope Urban VII, (Giovanni Battista Castagna), known for the shortest papacy, that lasted only for 12 days, in the history. 1306 Died: Wenceslaus III of Bohemia, King of Hungary between 1301 and 1305 and King of Bohemia and Poland from 1305.